With 2014 approaching, join us in sharing your new year resolutions and goals at Way Of Ninja Stories. The whole idea is to put your fitness, martial arts, parkour, marathon and ninja related goals out in the open. This makes you accountable to our community for achieving those goals and you will also receive motivation from each other. No more excuses! Set your resolutions, make time for them, and commit! I understand that some members (including myself) have already committed their Day Of Ninja goals on Dec 5. We have something else planned for you. Read on. Share your resolutions and goals for the new year. Make sure to give a deadline on when you want to achieve them. Avoid setting your goal deadlines to 31 Dec 2014; all of us can do much better. Pick one goal (at least) out of your Day Of Ninja goals list that you wish to begin with on January. Tell us your plans and how you are going to get started. 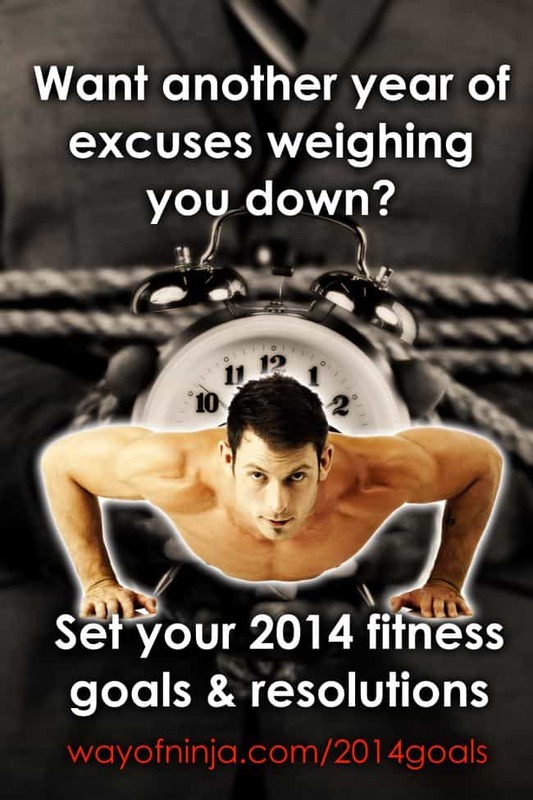 For example, if you plan to begin working out in January, post details on your workout plans for the first session. How Do I Share My Goals Or Respond To The DayOfNinja Topic? Go to add a story and choose the category: “Goal & Resolutions“, and subcategory “Goals & Resolutions for 2014” or “Day Of Ninja Progress Report“. Add a feature photo if you wish. And add your thoughts. Do it today!